Day 1 - I was alerted by an ex colleague of Nurole’s existence after he saw a role that he thought might attract my interest. Day 2 - I registered, was accepted and applied for said role. Day 3 - I was contacted and amicably and professionally grilled by the headhunter running the process. The rest of the experience continued with the same vigour, speed, ease and professionalism- driven by top-quality data but without ever losing the personal touch. Well done and thank you to Nurole! 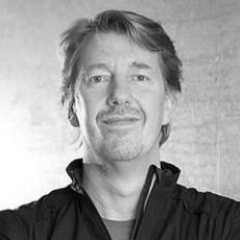 Michael Stanier is the former Senior Vice President of Adidas Ag. Through Nurole, he was appointed CEO of Charles Tyrwhitt. Charles Tyrwhitt is a founder-owned, multi-channel retailer that "makes it easy for men to dress well" with 30 shops located across the UK, Continental Europe and the US.